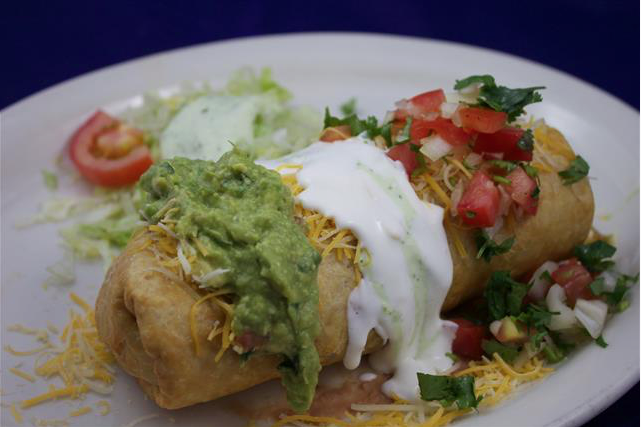 Your choice of grilled steak or chicken, lettuce, tomato, sour cream, cheese and guacamole. Burrito stuffed with rice, beans, cheese and steak. A steak burrito stuffed with cheese, potatoes and guacamole. A flour tortilla stuffed with our delicious fajitas. Flour tortilla filled with charbroiled steak, rice, beans, guacamole and sour cream. 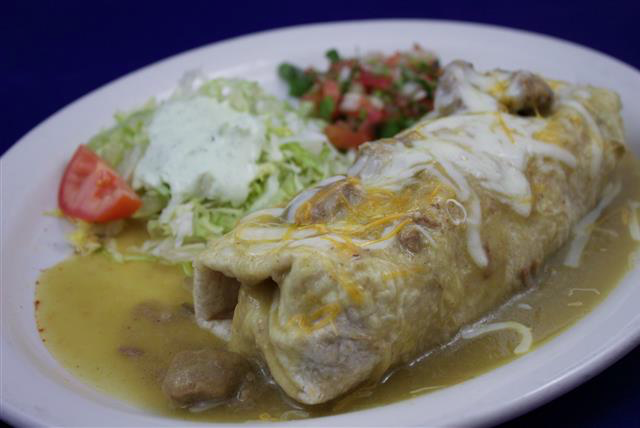 Large flour tortilla stuffed with pork, smothered in chile verde, rice and beans.